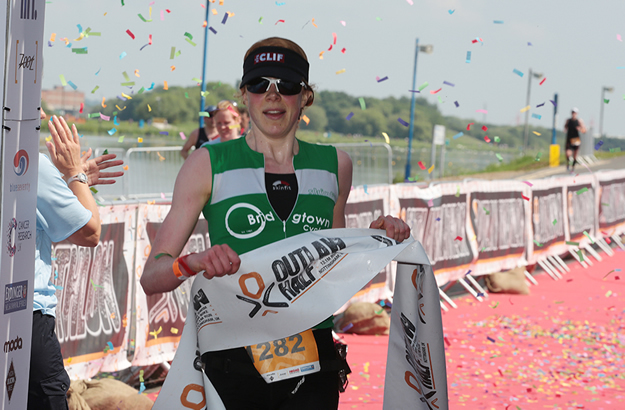 Paul Hawkins and Cat Faux won the Outlaw Half in Nottingham in perfect conditions which helped them to achieve course record times. 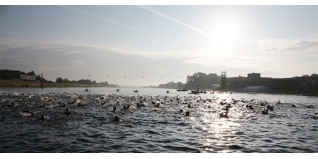 Over 1100 people started the event, with covers a 1900m swim, 56mile bike ride and 13.1mile run, starting and finishing at the National Watersports Centre. Hawkins started in the second wave but the former marine was motivated to pass the athletes who had started in front of him and be the first to cross the finishing line in front of a packed grandstand. His time of 4hours 13.38 was a new course record. He enjoyed the return to Nottingham, having won the inaugural Outlaw Triathlon in 2010, and putting the injuries of 2013 behind him. Cat Faux won the women's race, and was the third fastest individual overall with a time of 4:18.56. Having started her long distance career at the Outlaw in 2011, she enjoyed every minute of her return. 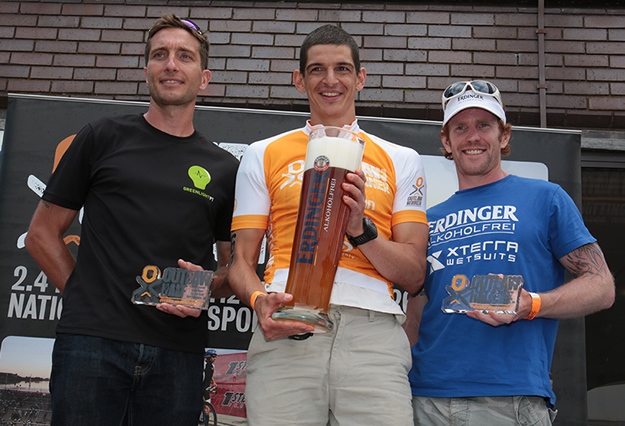 TFN shop owner Mark Redwood powered his race team to the relay team win in 4:02.53. Although the top athletes grab the headlines, the event is made by the hundreds of volunteers and ordinary people pushing themselves to achieve big goals and raise money for charities such as Cancer Research UK. The Outlaw Half sold out in just a few hours last year, and next year's event will open for entries in August.